Wild Service Tree (sometimes known as the Checker Tree) has a columnar habit when young and graduates to a broad oval when mature. The White flowers in spring give way to sharp tasting fruits in the autumn whilst its bark resembles a chequer pattern as it matures. Its green summer leaves turn orange and yellow in the autumn. 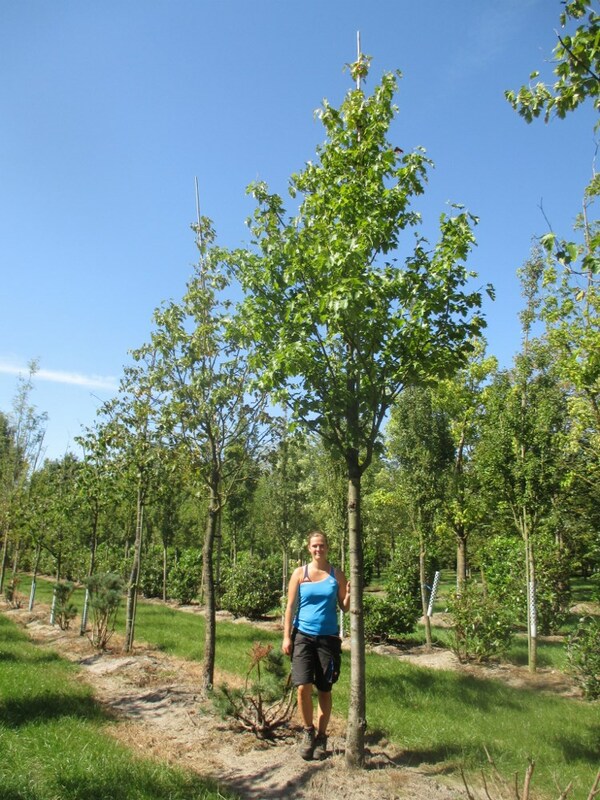 Sorbus torminalis thrives in most free draining soils but being a woodland plant, it doesn’t want to be under the glare of a hot sun for too long but it is tolerant of atmospheric pollution and dry conditions.